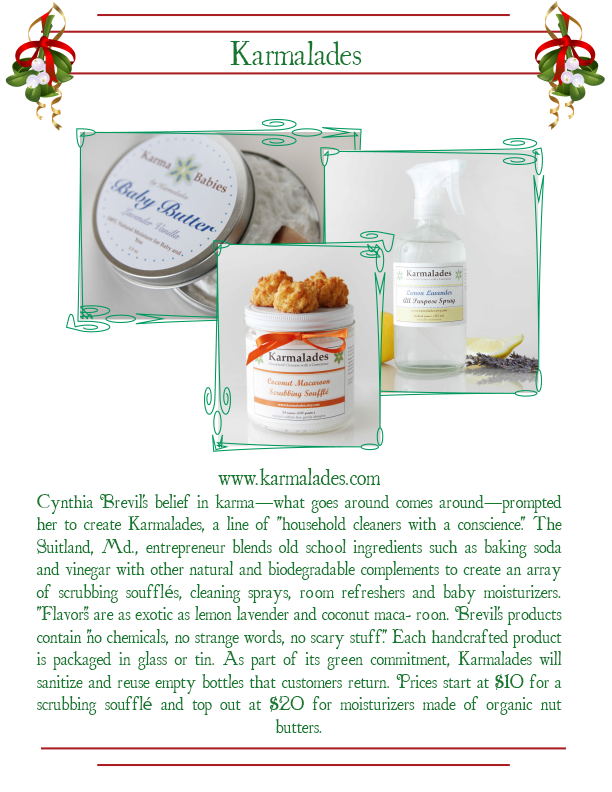 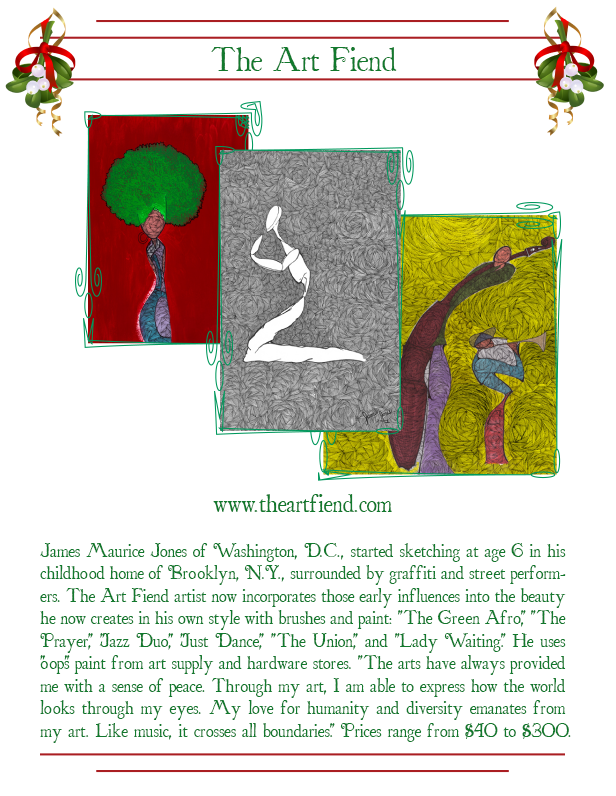 Mistletoe Market Artist Profile – Karmalades, household cleaners with a conscience! 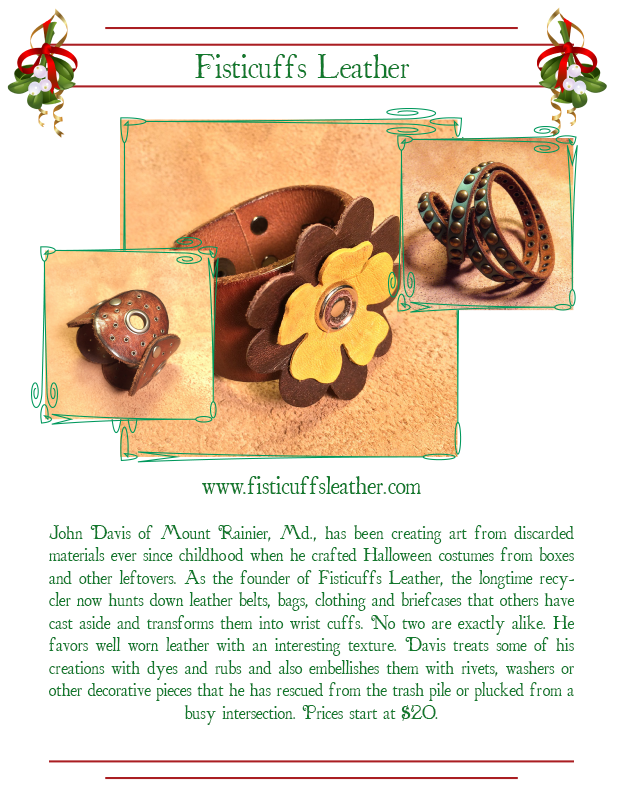 From now through December 31st, we have a ton of fantastic artisans offering handmade and eco-friendly gifts in the Mistletoe Market at Community Forklift. 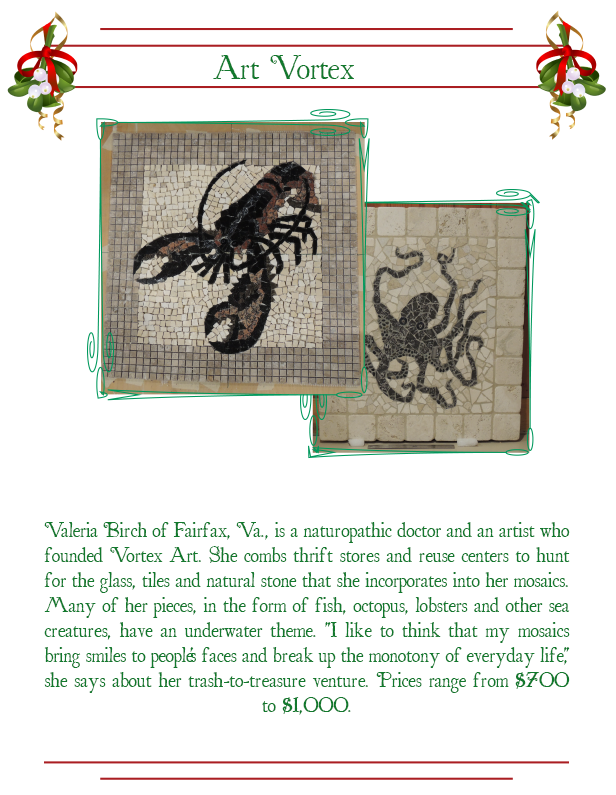 Check out Suitland-based artisan Cynthia Brevil of Karmalades . 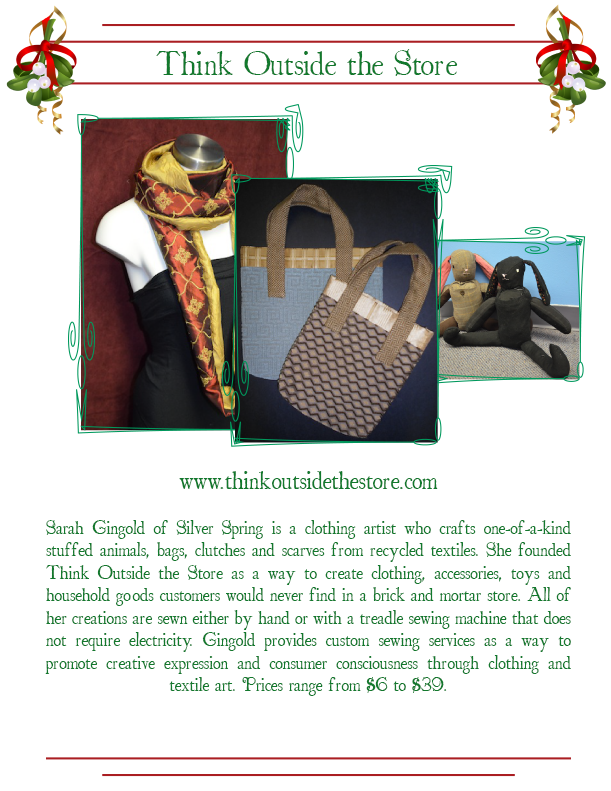 From now through December 31st, we have a ton of fantastic artisans offering handmade and eco-friendly gifts in the Mistletoe Market at Community Forklift. 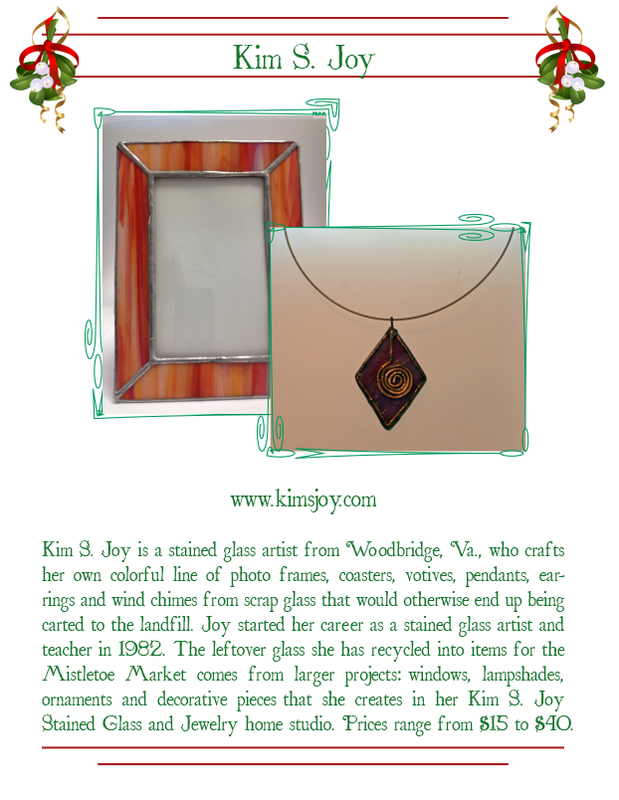 Stop by this weekend and check out the stained-glass items from Woodbridge, VA based artist Kim S. Joy. 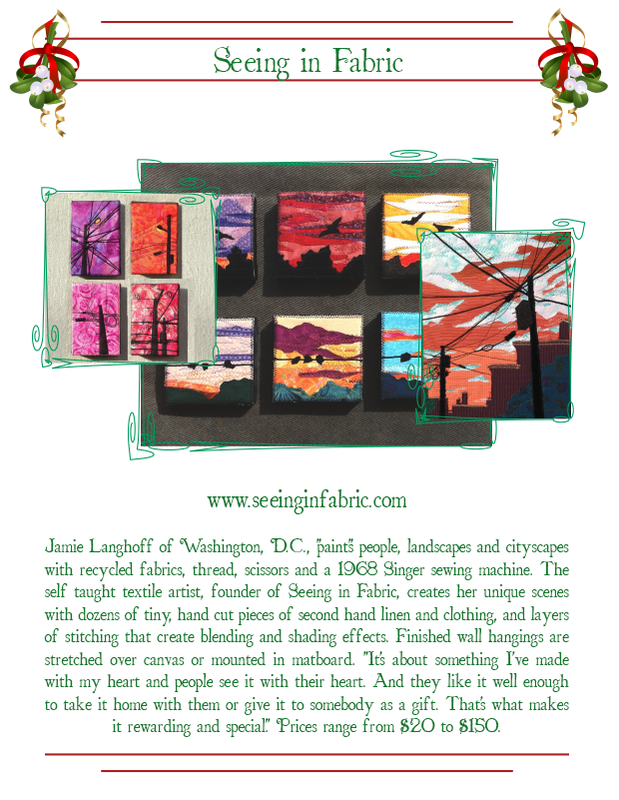 From now through December 31st, we have a ton of fantastic artisans offering handmade and eco-friendly gifts in the Mistletoe Market at Community Forklift. 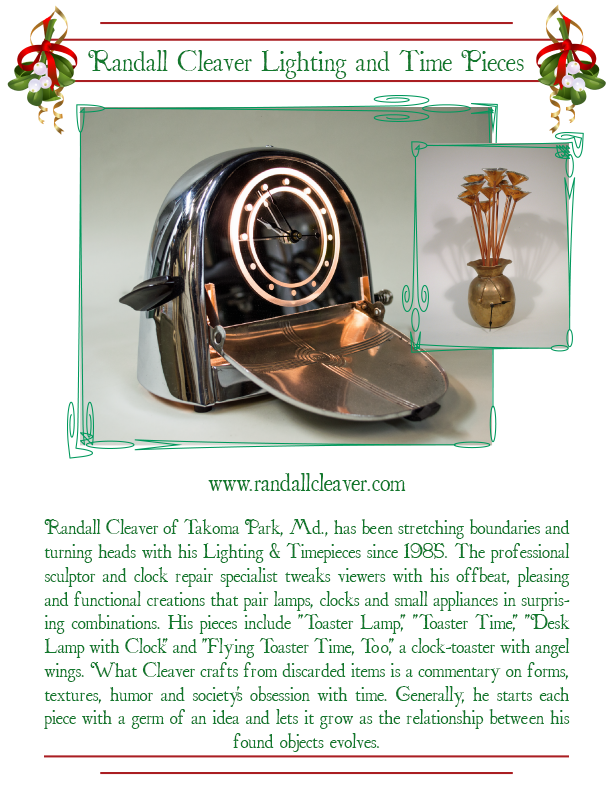 You have GOT to come check out the ingenious work of Tacoma Park based artist Randall Cleaver of Randall Cleaver Lighting and Time Pieces. 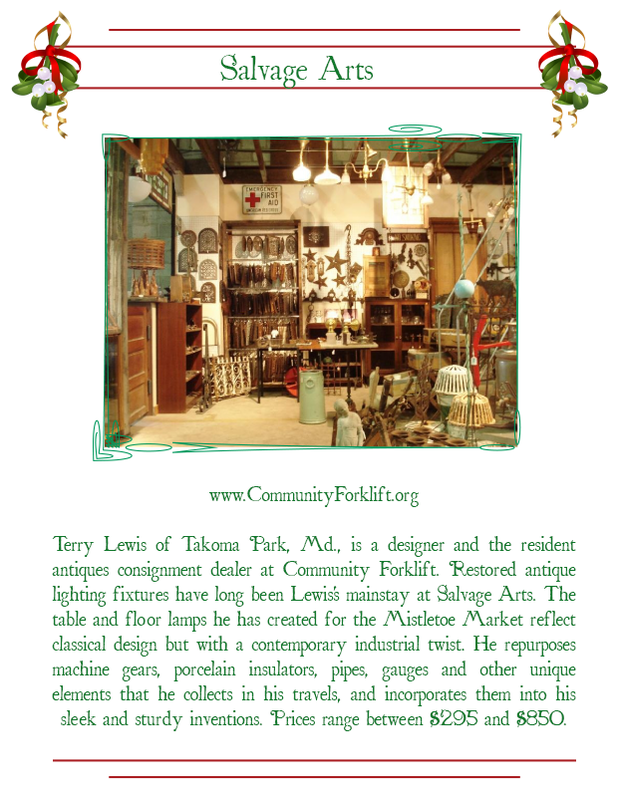 From now through December 31st, we have a ton of fantastic artisans offering handmade and eco-friendly gifts in the Mistletoe Market at Community Forklift. 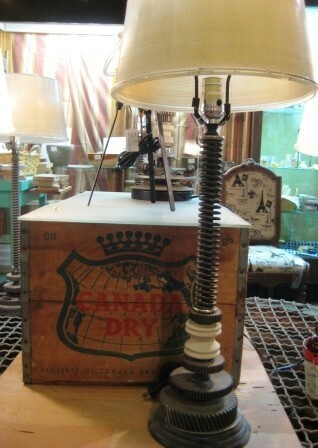 Today, we are featuring the Forklift’s very own Terry Lewis of Salvage Arts, with his fantastic steampunk lamps.